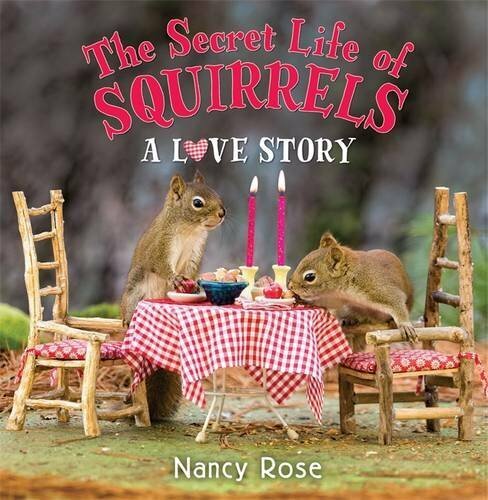 Love is in the air with another irresistible photographic story of wild squirrels in homemade miniature settings — stopping at the bookstore, shopping for groceries, playing on the playground, and more — delighting readers and animal lovers of all ages. 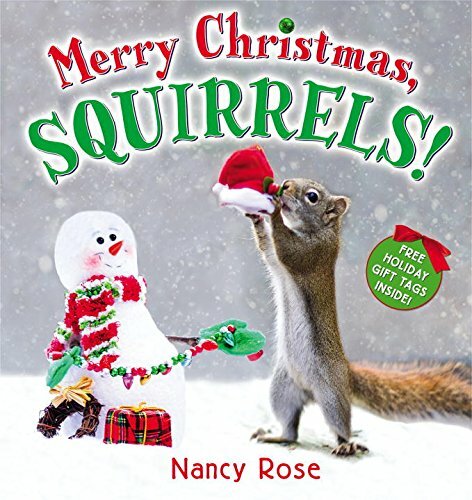 A brand new companion to The Secret Life of Squirrels and Merry Christmas, Squirrels, sure to surprise and enchant readers young and old! Mr. Peanuts spends his days climbing trees and gathering nuts–but he wishes he had another squirrel to share his time with. When he meets a special squirrel friend, he soon finds himself falling in love! They visit the bookstore, go to the park, and have a romantic candlelit dinner. Will Mr. Peanuts get his happily ever after? 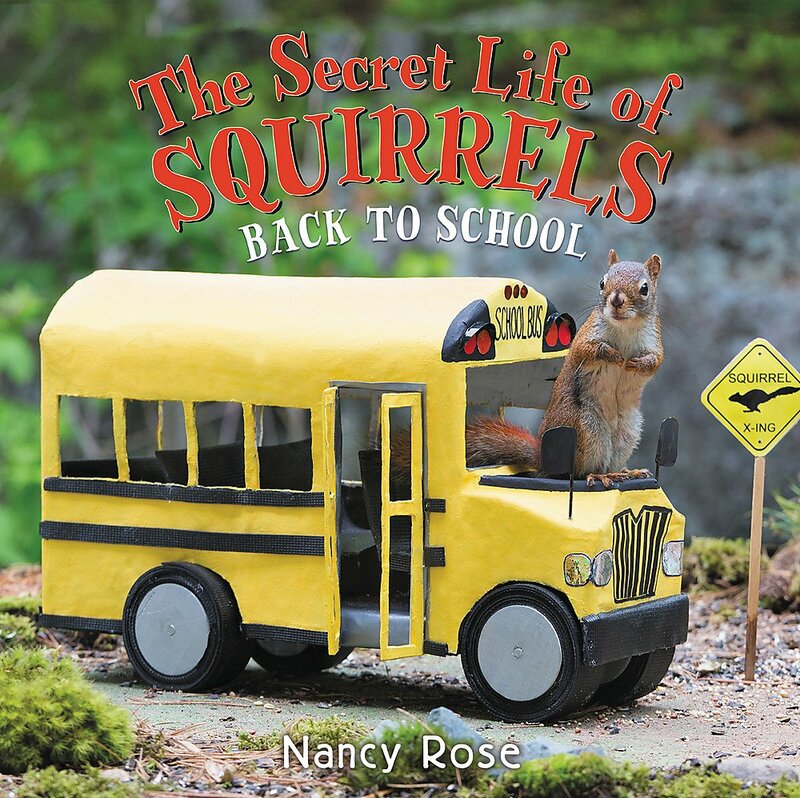 Get ready for the first day of school in this fourth book in the popular series featuring photographs of wild squirrels! Mr. Peanuts’ teacher friend Rosie needs help preparing for the first day of school! The two squirrels go shopping for school supplies, set up the library and music corners, bring all the sports equipment out to the blacktop, and decorate the classroom. Mr. Peanuts even practices driving the school bus! But it’s not easy to be a teacher getting ready for a whole classroom of new faces. Will Mr. Peanuts and Rosie be able to pull together the room before the end of summer? 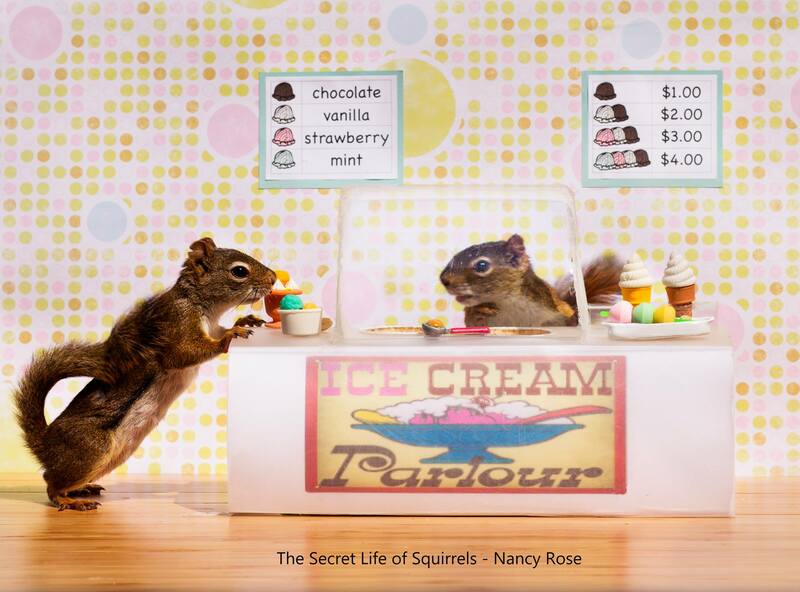 Nancy Rose brings this back-to-school story to life with her adorable photographs of real wild squirrels in handcrafted, homemade miniature settings. You may think you know what squirrels do all day. . . but Mr.Peanuts is no ordinary squirrel. Instead of climbing trees, he plays the piano. Instead of scurrying through the woods, he cooks on his grill. 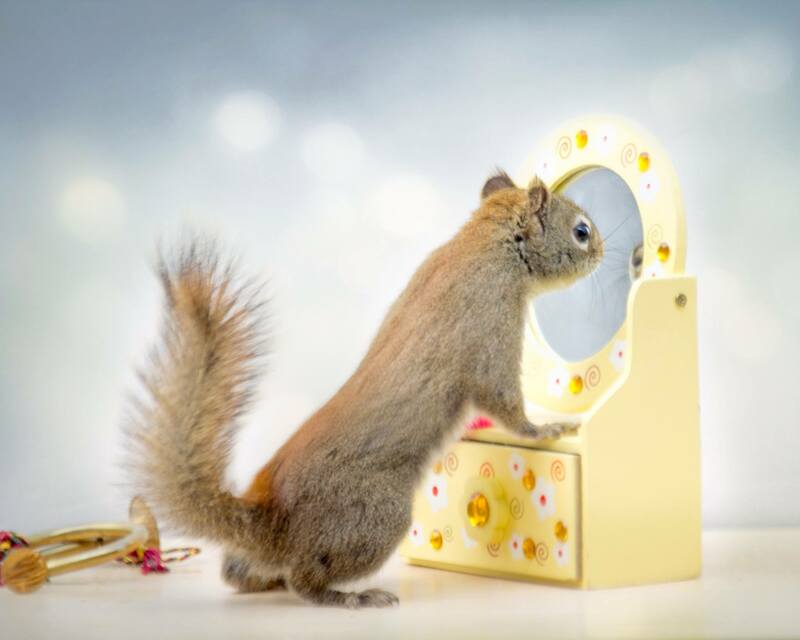 These charming, candid photographs of wild squirrels in handcrafted, homemade miniature settings will delight readers and animal lovers of all ages! Most squirrels spend their winter days hiding acorns in the snow. Not Mr. Peanuts. He loves Christmas and he’s very excited when Cousin Squirrel invites him to spend Christmas at his place. After a busy day building snowmen, sledding, snowshoeing, and roasting chestnuts, Mr. Peanuts and Cousin Squirrel settle in to wait for Santa … Christmas is so much better when you have a friend to spend it with. I wish barbecue weather would arrive and stay! What a wonderful day for the pool! Would you like to come for tea with Mr. Peanuts? What`s your favourite flavor? Do you want peanuts on that? Who cooked Mother’s Day breakfast for you today? 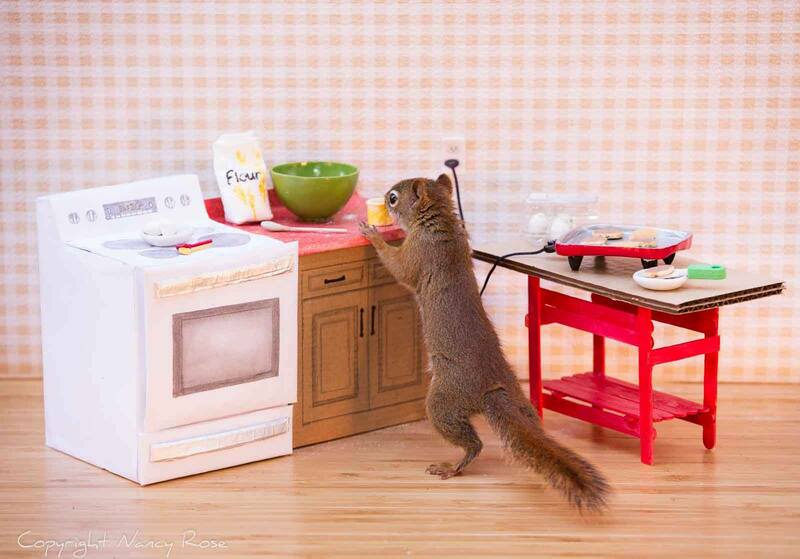 Mr Peanuts is making breakfast for the family! Time to get ready for another busy day with Mr Peanuts! The full Secret Life of Squirrels Series is available from Amazon! Secret Life of Squirrels The first book! The full series is also available NOW from your favorite online or local book store! Check out the full list of local, international and online retailers! Where Else Can I order? Photographer Nancy Rose lives in Hubley, Nova Scotia, Canada and is a retired high school Guidance Counsellor and proud grandmother. She is rarely without a camera and sees subjects everywhere. A passion for nature and wildlife, and a lifetime spent as a crafter merged when she discovered the curiosity of the little American Red squirrels who raided the bird feeders in her backyard. Nancy creates squirrel size props using cardboard, clay, and assorted craft supplies. 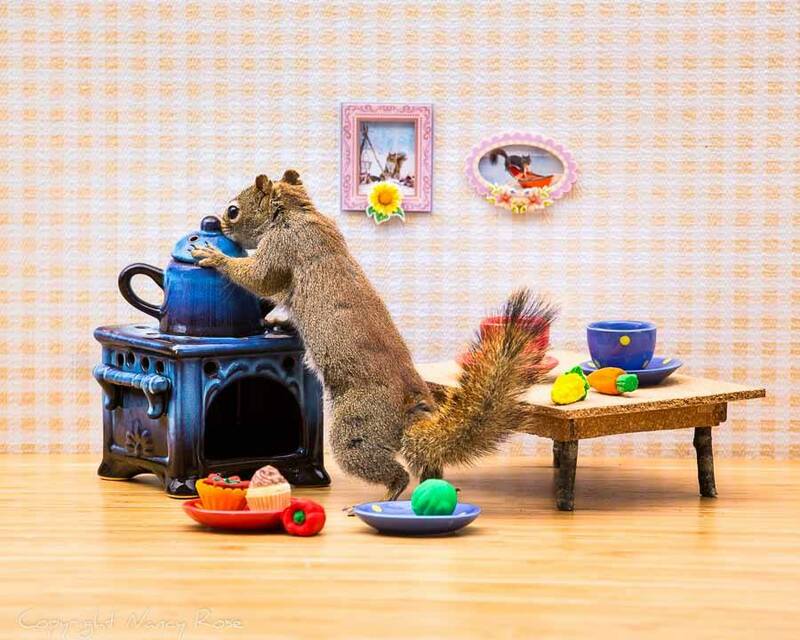 She arranges them in miniature settings and she has created numerous scenarios on her backyard deck where the inquisitive squirrels find themselves in some rather human like poses as they search for peanuts hidden in the props. Her favourite squirrel, Mr. Peanuts, was the first to eat from her hand and now many of his friends stop by and check out the little dioramas Nancy sets up on her picnic table on her back deck. Nancy’s squirrel pictures have been featured on numerous websites, such as Amusing Planet, Buzzfeed, Petapixel ,and the Daily Mail in the UK. She has been interviewed on Skype by a German TV show and was the Tuesday feature for Washington Post’s “Third Annual Squirrel Week” series. She has also been interviewed locally by Halifax Herald, CBC, CTV, and Global TV at her home, and occasionally her squirrels were happy to make an appearance. 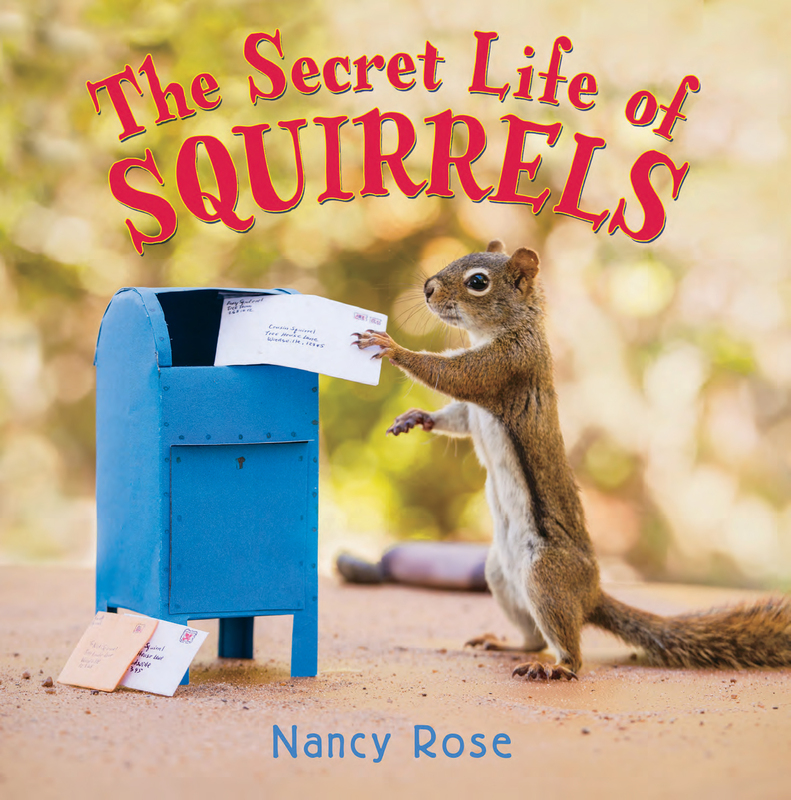 Nancy's first book, The Secret Life of Squirrels, came out in 2014, followed by Merry Christmas Squirrels (2015), The Secret Life of Squirrels: A Love Story (2016), and The Secret Life of Squirrels: Back to School! (2018). Nancy is represented by Jackie Kaiser at Westwood Creative Artists in Toronto. Modelling for a Nancy Rose photo shoot is not for everyone. At all times the model must wear their fur coat and they need to be able to fit into small spaces like shoe boxes and pumpkins. Also, they need to be willing to work for peanuts. Fortunately for Rose none of this seems to bother them. 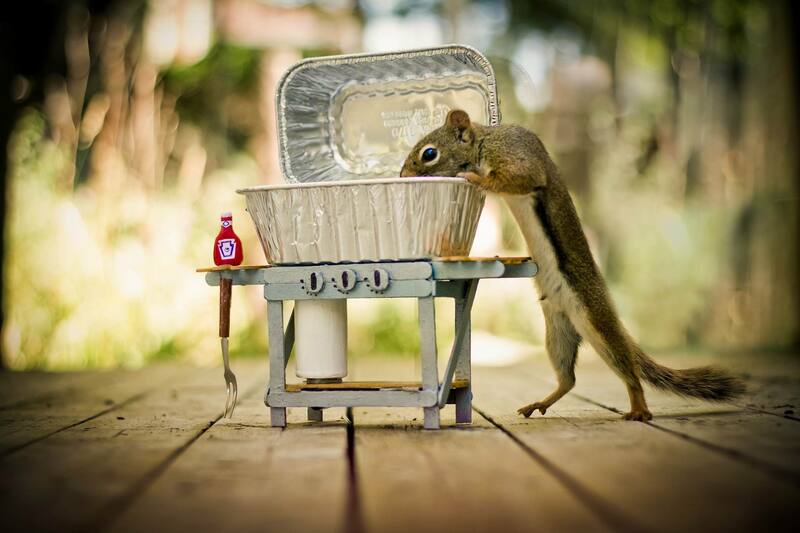 Canadian photographer Nancy Rose’s backyard is full of squirrels. But instead of getting a big, mean dog annoyed about it, she puts them to work as models in a super cute photo series. In order to capture the squirrels doing stuff like checking the mail and doing laundry she sets up props and hides peanuts for them to find. As the squirrels dig around looking for nuts, she waits for the right moment to capture them on camera. The results are adorable and hilarious and prove once again that squirrels will put up with almost anything for a few peanuts. Nancy Rose of Bedford has an interesting, albeit eccentric hobby. The high school guidance counsellor arranges vignettes and takes photos of squirrels who frequent her backyard deck. 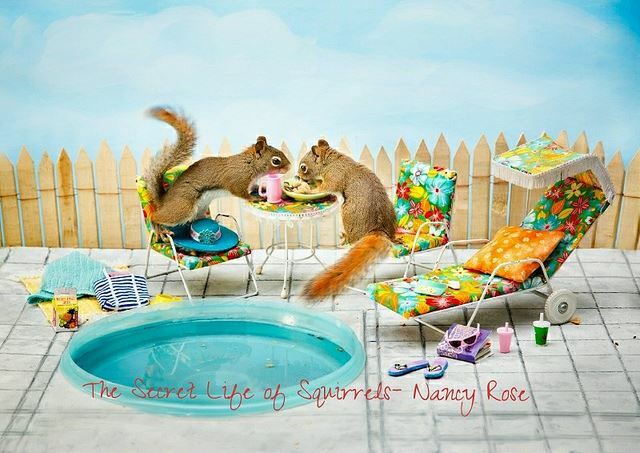 Nancy Rose has a bunch of squirrels living in the backyard of her home in Halifax, Canada, whom she has been photographing for a couple of years. They are curious animals who would inspect anything she put out on her picnic table, looking for places where she could have hidden some peanuts. Nancy decided to make some little props for them to explore and capture the fun on camera.